Traditional modems and routers always have been lots of wires running down everywhere. But D-link now has launched a wireless solution. Imagine getting in your home from a long day’s work and plugging in the router straight into a power port. 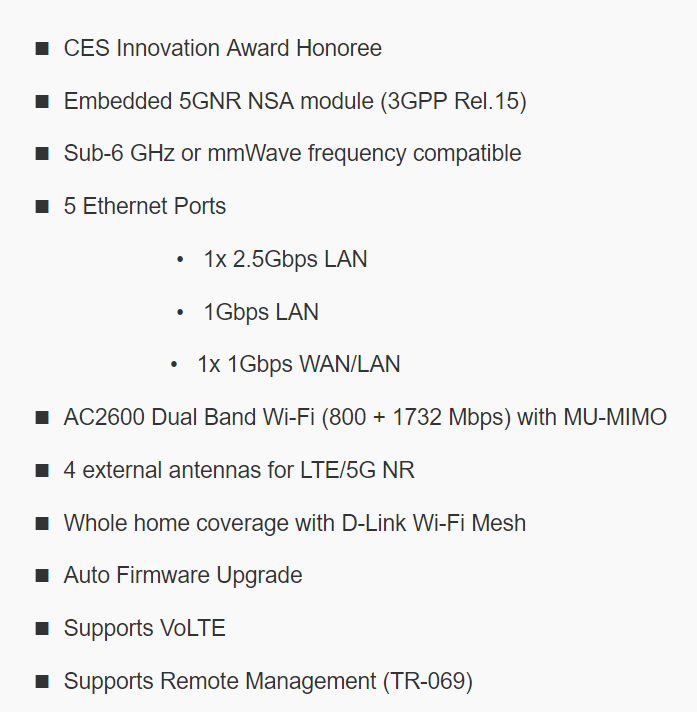 It is called the “5G NR enhanced gateway” (also known as the D-Link 5G Wifi Router DWR-2010). This new router promises high-speed Wifi connection in your homes with nothing but a single sim card and a wall power. This new 5G enhanced router comes with the latest SDX55 Qualcomm chipset, which makes it a 5G ready router. For now, it is available only in a few cities of the United States, but soon it will be distributed all around the globe by 2020. Among them all, four antennas are configured for 5G connectivity. In case there is an issue with the 5G network, or it is not available, then the antennas simply fall to LTE. Besides the internet connection, this router also supports Voice Over LTE (VoLTE), much like a smartphone. Just like a tradition router, this router also comes with a bunch of LAN ports besides the standard Wifi 5 support. This wifi support is basically for all the smartphones out there. On top of it, there are five ethernet ports; one is a 2.5Gbps LAN, another one a 1Gbps WAN/LAN and the remaining three 1Gbps LAN ports. You can read more details from D-Link’s official website. How to Set Up the D-Link 5G Wifi Router? What the company is aiming with this new device is convenience with speed. If you have a 5G network available in your neighbourhood with a reasonable data plan, all you need to to do is purchase a SIM card, if not previously available, of that available network and place it inside the router. Plug the router into any of the house’s power port, and you are good to go. No more adjusting phone positions for higher internet speed. Besides this convenience let’s not forget the speed. Granted 5G is still not mainstream, and it has a long way to go, but the change in speed is too big a gap just to ignore it. Imagine streaming 4K videos without any lag and playing online games with high graphics and high resolution without any lag or very minimal lag. Everyone has been waiting for it, and you can have this high-speed connection anywhere in your home. D-link expects this to be the huge beef up for the remote places that still use a dial-up connection. The idea is to provide the best network with reasonable AT&T and Verizon plans. As of now only a few places in the US have a 5G data plan ranging from 70$ per month. But the D-Link 5G Wifi Router is scheduled to hit the markets starting from mid-2019. This gives enough time as network providers by that time will provide a 5G connection in more places with a more reasonable monthly price tag. A 5G router without a 5G network does not make sense at all. 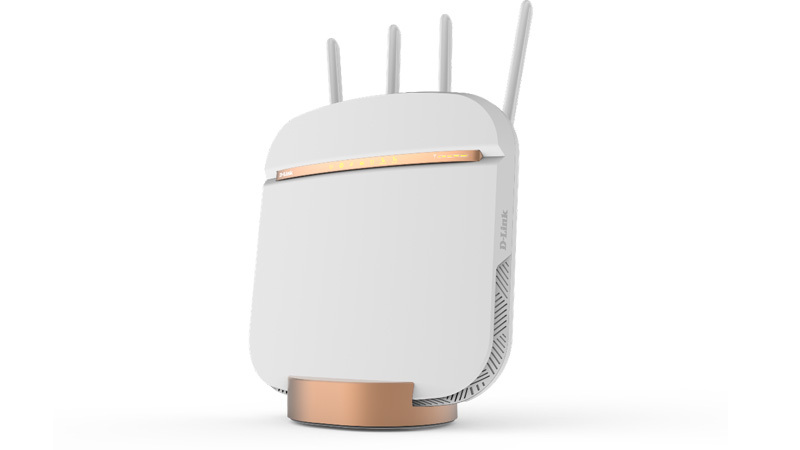 So maybe now is too soon for the product to be launched nationwide, but when every place out there has access to the 5G connection, this router might be the best new device for their homes.